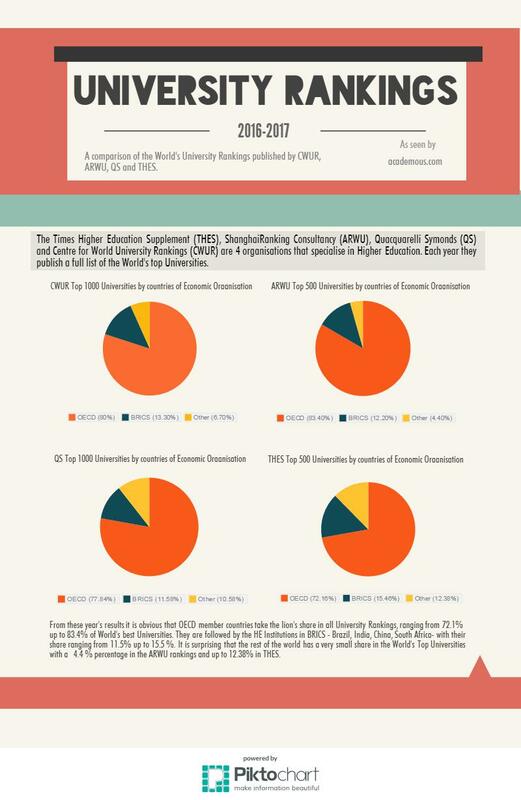 We crunched once again the data from the latest World University Rankings published by THES, QS, CWUR and Shanghai Ranking Consultancy (ARWU) and we present them to you as per Economic Organisation (OECD countries, BRICS and Rest of the World). Enjoy! Post copied from Academous blog.